There's a ravenous beast on the loose in marketing land, and it's hounding us mercilessly - days, nights, weekends & holidays - with an insatiable craving. "Feed me. Feed me. Feed me." This beast inhales tasty blog posts for breakfast, devours hearty white papers for lunch, and feasts on entire websites for dinner. And in between meals, it snacks on a bottomless bag of tweets. The name of this voracious beast - the Content Monster. Cost-effective marketing, the kind that's essential for software-as-a-service (SaaS) success, demands content... and lots of it. Paid search, email marketing, PR, and other tactics can be very effective at building visibility and luring in prospective customers. To work, though, they need a steady diet of content: white papers, webinars, video presentations, tweets, blog posts, press announcements, newsletters, presentations, comments on LinkedIn discussion groups, and whatever other bons mots that we can concoct. There's an insatiable demand for content - a monster that needs to be fed. One great advantage of the SaaS model is that you can, and in fact must, pay attention to what your customers are up to. You can learn a lot from them. See what they're doing with your solution and understand how they are using it to improve their business. You can pass along your observations and insights that may be helpful to others. One note of caution: Sometimes it's best to share these observations about customers anonymously or in aggregate so you don't violate any particular customer's confidentiality. When you explore one substantial idea, make the most of it. Push it out through multiple media. An extended discussion covered in a white paper can also be presented as a webinar, which can be publicized via a press announcement. Bits of it can be doled out in a newsletter and through blog posts. Like an efficient and cost-conscious chef, let nothing go to waste. Just because you explored an idea once, doesn't mean your can't revisit it. If a topic was well-received 18 months ago and it's still relevant now, examine it again. Update it with a new angle, squeeze out a new insight, or garnish it with a fresh example. OK Content Monster, you can go off and digest this tid-bit for now. I'm sure you'll be looking for more soon. 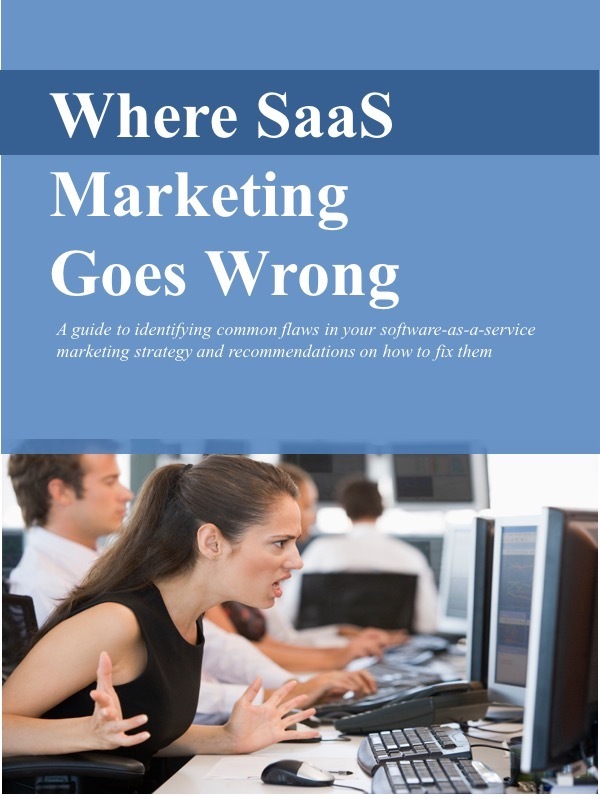 This work by Peter Cohen, SaaS Marketing Strategy Advisors is licensed under a Creative Commons Attribution 3.0 Unported License.